In which G.M. Norton finds himself in a hairy situation. Today the humble moustache has all but vanished from the faces of young men, cast into the dark abyss of the past with a disapproving glare for good measure. Instead of sporting magnificent upper lip appendages, our mixed-up society has sought fit to proudly wear over-sized babygrows and dip themselves in creosote instead. Thankfully, there is still a small band of supporters intent on reawakening the moustache by proudly displaying graspable appendages and challenging the clean-shaven status quo of modernity. Not one to hold back, I have decided to join this most chivalrous of movements and become a fully-fledged member of the Fur Face Fellowship. 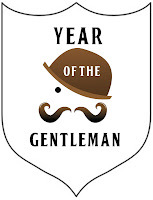 After all, 2013 is the Year of the Gentleman and every self-respecting gentleman should at one stage or another sport a sprouting of hair above their top lip. 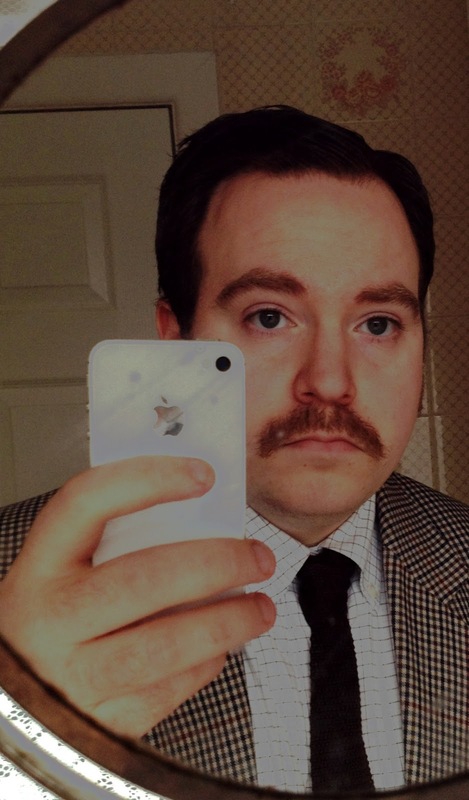 Ladies and gentlemen, please allow me to introduce you to my infant moustache. 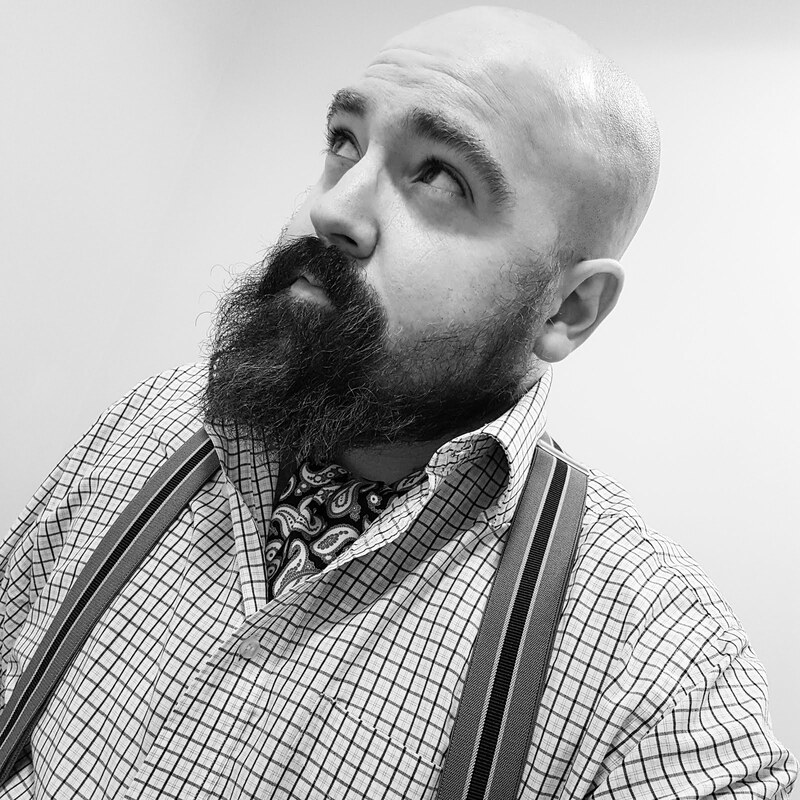 I have spent the last four weeks carefully cultivating it in the hope of eventually achieving the greatest of moustache styles – yes, that’s right, the handlebar. Having conducted in-depth research (namely Google), I have discovered it generally takes at least twelve weeks to achieve handlebar status. By my calculations, I am eight weeks away. As I alluded to in an earlier moustache-related posting, sadly my facial hair is naturally a heady mix of blonde, white-blonde, brown and a few specks of grey. As certain parts are not very visible, I have succumbed to dying it to solve my colouring conundrum. As a man unaccustomed to dye and cautious to the possible perils of said product, I must say from my experience so far that it’s all very simple. 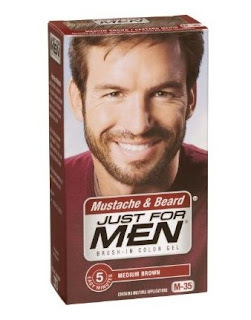 The facial hair dye I used, Just for Men, has turned my top lip topiary from dull to dark. Once it’s applied, you leave it on for five minutes before washing off – and there you have it. If you too have dreamed of displaying face foliage but have been put off by the colour card fate has cruelly dealt you, I would heartily recommend ‘Just for Men’. I acquired mine from Messrs Boots for the paltry sum of £7.69. To achieve the colour I have craved, I consider this to be money well spent. 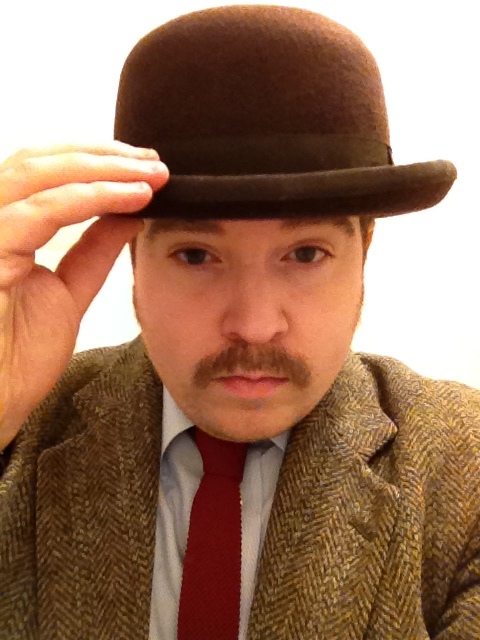 If you are interested in charting the progress of my moustache growing endeavours, I intend to provide regular updates on the Twittering Device – if you’re not already a loyal follower, you can find me @nortonofmorton. Wish me luck. What an absolutely splendid job you've done there - an excellent specimen of an infant tache if ever I saw one! You are frightfully kind, thank you! You are the first to call it an 'excellent specimen'. Although my mother's physician did remark 'What a fine specimen!' when he first clapped eyes on me as a baby. Thus far, I am rather enjoying the 'tache growing experience. Let's hope it continues to be plain sailing. Just be a tad careful with the beard dye, old chap - I used it when the face furniture started to look its age, and for a few years it covered up the evidence. One day, however, I applied it and immediately felt a burning sensation - and within a day or two, my skin broke out in a nasty rash. I had developed an allergy to the stuff. So now I am as white as the driven snow. Oh well, anno domini, tempus fugit and all that. I really enjoyed your website, hope to see more of it! Terribly good of you to stop by, sir! Many thanks for the dye warning - I will tread carefully with it. I've only applied dye every two or three months in an effort to embrace my natural colours a little more.